This information must be included in the spec book for each project. Any changes must be approved by OWRR. Whole Tires as of March 1, 1990 banned in landfills. Used Oil as of October 1, 1990, banned in landfills. Yard Waste as of January 1, 1993, banned in landfills. Aluminum Cans as of July 1, 1994, banned in landfills or incinerators. White Goods as of January 1, 1991, banned in landfills. Incineration banned as of July 1, 1994. Orange County Regulated Recyclable Materials Ordinance requires cardboard, clean wood, scrap metal and pallets to be either source separated or taken in mixed loads to a permitted facility (contact OWRR or Orange County Solid Waste at 919-968-2788 for a list of facilities). It also requires that anyone hauling these wastes in a vehicle that is 9,000 lb. or greater within Orange County must have a license. Contact Orange County Solid Waste to obtain a license. 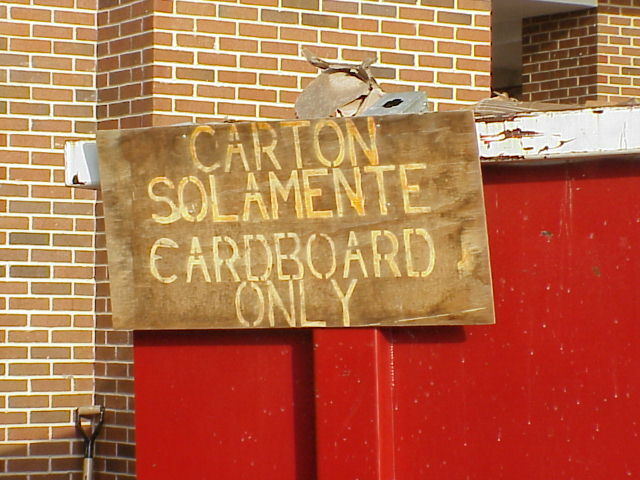 All containers (dumpsters, rolloffs, compactors) for regulated materials must display a unique identifying number at least 3″ high, along with the name of the owner or hauler. Town of Chapel Hill Noise Ordinance (Ordinance Number 2001-09-24/O-8): Once on the Town’s Code of Ordinance site, click on Code of Ordinances of the Town of Chapel Hill hyperlink. Then search by “noise” and go to Noise Ordinance Article III. See Section 11-40 Exemptions items (b) Construction and (o) Sanitation. University policy regarding hazardous materials, UNC-Chapel Hill Design Guidelines, Chapter IV (Supplemental Guidelines): Hazardous and Universal Waste Issues. Contact: UNC-Chapel Hill Office of Environment, Health and Safety. The information in this section can be found in the UNC Design Guidelines, Chapter V. Technical Design and Performance Standards, A. Division 1 – General Requirements (01060). Untreated and unpainted; not contaminated with oils, solvents, caulk, or the like. Mixing recyclable C/D material in one waste container. Materials Recovery Facilities (MRF) exist to sort and recycle commingled materials off-site. Includes all non-hazardous solid wastes resulting from construction, renovations, alterations, repair, and demolition. Exhibiting the characteristics of hazardous substances, i.e., ignitability, corrosiveness, toxicity or reactivity. A processing facility designed to sort and separate recyclables based on market needs and material components. Exhibiting none of the characteristics of hazardous substances, i.e., ignitability, corrosiveness, toxicity, or reactivity. Neither immediately poisonous to humans nor poisonous after a long period of exposure. The ability of a product or material to be recovered at the end of its life cycle and remanufactured into a new product for reuse by others. The process of sorting, cleansing, treating and reconstituting solid waste and other discarded materials for the purpose of using the altered form. Recycling does not include burning, incinerating, or thermally destroying waste. Can be conducted on-site (as in the grinding of concrete and reuse on-site). To give back reusable items or unused products to vendors for credit. To reuse a construction waste material without altering its form on the Project site or elsewhere. 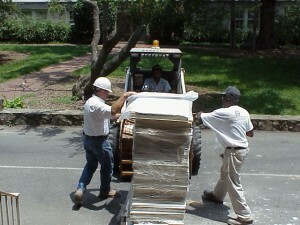 To remove a waste material from the Project site to another site for resale or reuse by others. Soil and other debris that has been eroded and transported by storm or well production runoff water. The act of keeping different types of waste materials separate beginning from the first time they become waste in order to reuse or recycle them. Poisonous to humans either immediately or after a period of exposure. Any product or material unable to be reused, returned, recycled, or salvaged. Chemical compounds common in and emitted by many building products over time through offgassing: solvents in paints and other coatings; wood preservatives; strippers and household cleaners; adhesives in particleboard, fiberboard, and some plywood; and foam insulation. When released, VOCs can contribute to the formation of smog and can cause respiratory tract problems, headaches, eye irritations, nausea, damage to the liver, kidneys, and central nervous system, and possibly cancer. Extra material or material that has reached the end of its useful life in its intended use. Waste includes salvageable, returnable, recyclable, and reusable material. A Project-related plan for the collection, transportation, and disposal of the waste generated at the construction site. The purpose of the plan is to ultimately prolong the usable life of waste materials and reduce the amount of material being landfilled. North Carolina Executive Order 156?State Government Environmental Sustainability, Reduction of Solid Waste, and Procurement of Environmentally Preferable Products. The Contractor shall develop, for the Architect’s and owner’s review, a Waste Management Plan for this Project consistent with these goals. Minimize the amount of C/D (construction and demolition) waste initially generated by such methods as efficient use of materials, appropriate planning, proper storage, prevention of breakage and damage to materials, avoidance of excess packaging and source separation of waste. Of the inevitable waste that is generated, as many of the waste materials as economically feasible shall be reused, salvaged, or recycled. Waste disposal in landfills shall be minimized. Consistent with LEED criteria, the project goal is to reuse, salvage, or recycle a minimum of 50% of the wastes generated by weight on demolition/renovation projects and 75% on new construction. Use recycled, salvaged, renewable and recyclable building materials. The Contractor shall provide, to the Owner and Architect, a Draft Waste Management Plan within 5 business days after receipt of Notice to Proceed or prior to any waste removal, whichever occurs sooner. Consistent with Orange County ordinances and in order to achieve the waste diversion goals listed above, the Contractor may choose to separate waste and recyclables on-site or use a combination of source separation and a C/D sorting facility permitted by Orange County.The Contractor will submit the draft and final plans electronically on forms provided by OWRR. See https://facilities.unc.edu/design-guidelines/waste-reduction/ (C/D Forms and Printed Materials). Waste assessment: An analysis of the proposed jobsite wastes to be generated, including types and estimated quantities. This includes salvageable materials as well as recyclables and trash. Landfill options: The name of the landfill(s) where trash will be disposed of, the applicable landfill tipping fee(s), and the estimated cost of disposing of all Project waste in the landfill(s). This estimate will be used as a baseline for recycling/salvage cost comparison. For a list of markets and resources, see https://facilities.unc.edu/design-guidelines/waste-reduction/ (C/D Resources and Links). Also see Section 02070 Selective Demolition for information regarding items to be salvaged. Once the Owner has determined which of the recycling options addressed in the Draft Waste Management Plan are acceptable, the Contractor shall provide a Final Waste Management Plan within 5 business days. Contact information: The name and contact information of who will be responsible for implementing the Solid Waste Management Plan. Meetings/instruction: A description of the regular meetings to be held to address waste management. Waste assessment: An analysis of the proposed jobsite wastes to be generated, including types and estimated quantities. Alternatives to landfilling: A list of each material proposed to be salvaged, reused, or recycled during the course of the Project. Landfilling information: The name of the landfill(s) where trash will be disposed of, the applicable landfill tipping fee(s), and the estimated quantity of waste to be landfilled. Materials Handling Procedures: A description of the means by which any waste materials identified in items 4 and 5 above will be protected from contamination, and a description of the means to be employed in handling the above materials consistent with requirements for acceptance by designated facilities. Transportation: A description of the means of transportation of recyclable materials and waste (whether materials will be site-separated and self-hauled to designated centers, or whether mixed materials will be collected by a waste hauler and removed from the site) and destination of materials. Cost estimate summary: The estimated cost of implementing the final solid waste management plan, broken down by material. Copy of Orange County RRMO hauling license: This license is required for any vehicle over 9000 lbs. GVW hauling RRMO materials (see 01060). It must be renewed annually. Contact Orange County Solid Waste Management at 919-968-2800 ext. 163 for more info. Manager: The Contractor shall designate an on-site party (or parties) responsible for instructing workers and overseeing and documenting results of the Waste Management Plan for the Project. This contact will notify OWRR immediately should any deviance from the Final Waste Management plan be necessary. Distribution: The Contractor shall distribute copies of the Waste Management Plan to the Job Site Foremen, Subcontractors, the Owner, and the Architect. Instruction: The Contractor shall provide on-site instruction of appropriate separation, handling, and recycling, salvage, reuse, and return methods to be used by all parties at the appropriate stages of the Project. Separation facilities: The Contractor shall designate and label a specific area to facilitate separation of materials for potential recycling, salvage, reuse, and return. Recycling and waste bin areas are to be kept neat and clean and clearly marked in order to avoid contamination of materials. Hazardous wastes: Hazardous wastes shall be separated, stored, and disposed of according to local regulations. Documentation: The Contractor shall submit with each Application for Progress Payment a Summary of Waste Generated by the Project. Failure to submit this information shall render the Application for Payment incomplete and shall delay Progress Payment. The Summary shall be submitted on a form acceptable to the Owner and shall contain the following information. For electronic forms see https://facilities.unc.edu/design-guidelines/waste-reduction/ (C/D Forms and Printed Materials). The information in this section can be found in the UNC Design Guidelines, Chapter V. Technical Design and Performance Standards, A. Division 1 – General Requirements (01505). Proper coordination for the shut-off of utility services and control measures for dust and noise must occur prior to commencement of any demolition work. Considerations must be given to on-going University activities in adjacent areas. In confined areas of selective demolition, install and maintain dust and noise control barriers to keep dirt, dust, and noise from being transmitted to adjacent areas. Remove these protection measures after demolition operations are completed. Maintain and protect existing building services which transit the area affected by selective demolition. Completely remove all equipment noted for removal including all associated devices, controls, conduit, wiring, etc. Remove all exposed conduit and wiring back to the panel from which it is served. Mark all disassociated breakers “spare”. Unless otherwise noted, the Contractor shall fill and patch all wall, floor, and ceiling openings resulting from this demolition work with materials and finishes identical to adjacent materials and finished. Unless otherwise noted, remove all wiring devices, fixtures, controls, circuitry (conduit and wiring), etc., made obsolete by the demolition within or around the building. The Contractor shall relocate all existing piping, circuitry (conduit and wiring), ductwork, etc., which impedes the installation of new materials and equipment, unless otherwise noted. Inactive and obsolete piping, fitting and specialties, equipment, ductwork, controls, fixtures, and insulation. Piping and ducts embedded in floors, wall, and ceiling may remain if such materials do not interfere with new installation. Remove materials above accessible ceilings. Drain and cap piping and ducts allowed to remain. All demolition which involves the removal or disturbance of Asbestos Containing fire proofing, finish material, insulation or other asbestos containing material shall be performed in strict accordance with the Division of State Construction “Specifications for Asbestos Abatement” and must be approved by the University’s Department of Environment, Health and Safety. Notify the Department of Environment, Health and Safety at 919-962-5507 if any underground tanks are removed from the ground on the construction site. Demolition activities that affect parking, vehicle or pedestrian traffic must be approved by UNC UNC Police at 919-962-8100 prior to work commencing. Notify the Department of Environment, Health and Safety at 919-962-9752 for information on proper disposal of ballasts and fluorescent light bulbs. Prior to building demolition, the Department of Environment, Health and Safety should be contacted at 919-962-5507 to review the project for potential mercury containing equipment such as piping in dental and scientific buildings, thermostats, and switches. The Contractor shall remove all generated trash, recyclables and debris (including, for example, old carpeting) at his or her expense. The Contractor may not place this trash and debris in University dumpsters. The Owner, acting through the Designer, shall retain the right to direct the disposal of salvageable equipment and materials (such as metals, cardboard, plastics, paper, glass, and blueprints). The Contractor will comply with all requirements as outlined in 01505 (Construction Waste Management) and 01060 (Regulatory Requirements). After selective demolition is complete, submit a list of items that have been removed and salvaged. The University, as a State institution, is accountable for controlled property and equipment including electrical, mechanical, and plumbing equipment. No equipment is given to the Contractor unless specifically listed in the job specifications prior to contract award. The Contractor shall deliver any surplus equipment to the Surplus Property Warehouse and return a receipt for the equipment to the Facilities Services Data Control Office. For equipment retained by the Contractor under the contract, the Contractor shall remove the equipment control decals and return them to the Facilities Services preventive maintenance shop or the University’s Asset Manager. Do not disturb equipment or fixtures bearing a hazardous, biological or radiological warning sign in any way until authorized by the University Department of Environment, Health and Safety Office who will remove or obliterate the warning sign. Detach items from existing construction and legally dispose of them off-site, unless indicated to be removed and salvaged or removed and reinstalled. Detach items from existing construction and deliver them to Owner ready for reuse. Detach items from existing construction, prepare them for reuse, and reinstall them where indicated. Existing items of construction that are not to be removed and that are not otherwise indicated to be removed, removed and salvaged, or removed and reinstalled. Pack or crate items after cleaning. Identify contents of containers. Store items in a secure area until delivery to Owner. Transport items to storage area designated by Owner, Contractor or other authorized party. Protect items from damage during transport and storage. Clean and repair items to functional condition adequate for intended reuse. Paint equipment to match new equipment. Pack or crate items after cleaning and repairing. Identify contents of containers. Reinstall items in locations indicated. Comply with installation requirements for new materials and equipment. Provide connections, supports, and miscellaneous materials necessary to make item functional for use indicated. Protect construction indicated to remain against damage and soiling during selective demolition. When permitted by Architect, items may be removed to a suitable, protected storage location during selective demolition and cleaned and reinstalled in their original locations after selective demolition operations are complete. The information in this section can be found in the UNC Design Guidelines, Chapter V. Technical Design and Performance Standards, A. Division 2 – Site Work (02070). The information on this page can be found in the UNC Design Guidelines, Chapter III. University Planning Standards, Section E. Waste Management, a) Required Specifications. 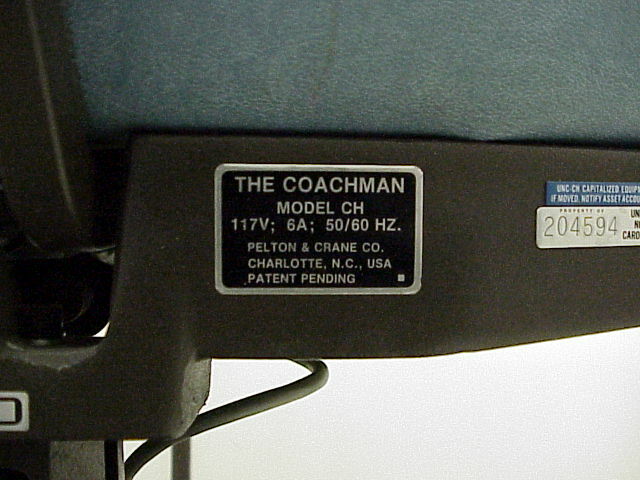 Individual specifications are located in Chapter V. Technical Design and Performance Standards, A. Division 1 – General Requirements (01060 and 01505) and B. Division 2 – Site Work (02070).